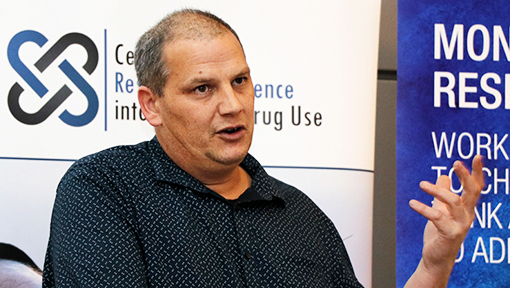 “We haven’t had a National Overdose Strategy since 2001 in Australia and we need one now.” - Professor Paul Dietze, Program Director, Behaviours and Health Risks, Burnet Institute. That was one of the key messages resonating from the CREIDU & MARC symposium, ‘Preventing and responding to opioid overdose in Victoria: Developments and opportunities’ held in Melbourne this week. “There is currently no consistent legislation, no national coordination, no distribution targets, no intranasal naloxone, and no standard universal access through health services of the overdose reversal drug, naloxone,” Professor Dietze told the packed audience, including many who had travelled from regional Victorian centres and country towns. Naloxone hydrochloride (trade name Narcan®) and often referred to as take-home naloxone (THN), has had an immediate impact on reversing many overdoses since being approved for wider community use. Naloxone works by blocking opioid drugs, such as heroin and methadone, from attaching to opioid receptors in the brain. It can be injected intravenously (into a vein) or intramuscularly (into a muscle) by medical professionals such as paramedics. It can also be administered by family and friends of people who use opiates, and be purchased over the counter at pharmacies or via prescription as an ampoule or pre-filled, five-dose syringe. But what dose of naloxone should be used to reverse an overdose? Currently, according to Professor Dietze there is no universal direction and certainly no national standard in Australia. “The World Health Organization recommends 400mcg, Ambulance Victoria uses 1.6mg despite using 400mcg ampules, and Ambulance NSW says 400mcg is best,” Professor Dietze said. Turning Point and Monash University’s Dr Debbie Scott said use of heroin accounted for much higher rates of opiate-related ambulance attendances in Melbourne in the period June 2012 to Dec 2017. 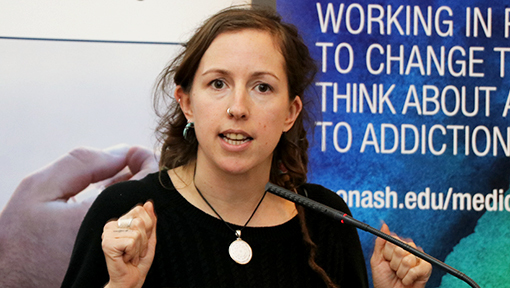 Harm reduction Practitioner Team Leader at the Medically Supervised Injecting Room (MSIR) in North Richmond, Ms Sarah Hiley said they had experienced 8000 visits in first two months of operation. 140 overdoses were responded over a 63 day period, with 30 overdoses requiring naloxone. Executive Officer of Harm Reduction Victoria, Mr Sione Crawford said naloxone has changed the landscape in overdose reversal in the past 20 years. To make an important impact and save lives, naloxone needs to be freely available. National Drug Research Institute’s, Dr Renae Fomiatti said research showed opioid consumers are aware of take-home nalaxone but choose not to engage because of barriers including stigma around illicit drug use. We also know from data that many users inject alone and do not feel the need to have naloxone with them. Professor Dietze said progress is being made in the uptake and awareness of the overdose-reversing drug, with more than 3000 take-home naloxone kits being delivered. “There is a lot of momentum at the moment with the MSIR having twice as many visits as the Sydney equivalent in its first two months of opening,” he said. Click here to find out more about CREIDU or about Burnet’s Behaviours and Health Risks Program research activities.